Apply and blend quickly, as product sets in 15 seconds. 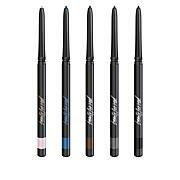 I have been trying to find the perfect eyeliner forever! This is it! 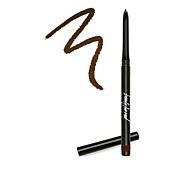 It glides on so smoothly, the whiskey color is great, and it stays on all day and does not smudge. I absolutely love it. At first I thought it wasnt going to move up, but it did say to turn about 20 times to advance the eyeliner. It worked and now goes up very easy. Love this eyeliner! Just ordered 2 more. 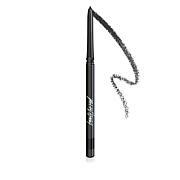 This eyeliner dried out very quickly and was not easy to apply. Whiskey Color - Try Again ? 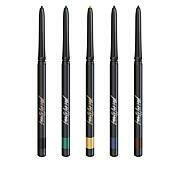 Love the product color and texture but the swivel tube does not work correctly ! The first one I got did not work at all. Asked for a replacement. The second one still has problems with the up function and won't work at all with the down position. Can't recap the tube with out smashing the product. Please fix this so I can enjoy the product.